Ever started a campfire out in the woods during a good old fashioned camping trip with friends? Laughter, beer, friends, marshmallows, a cold starry night, throw blankets, and a warm and cozy fire. 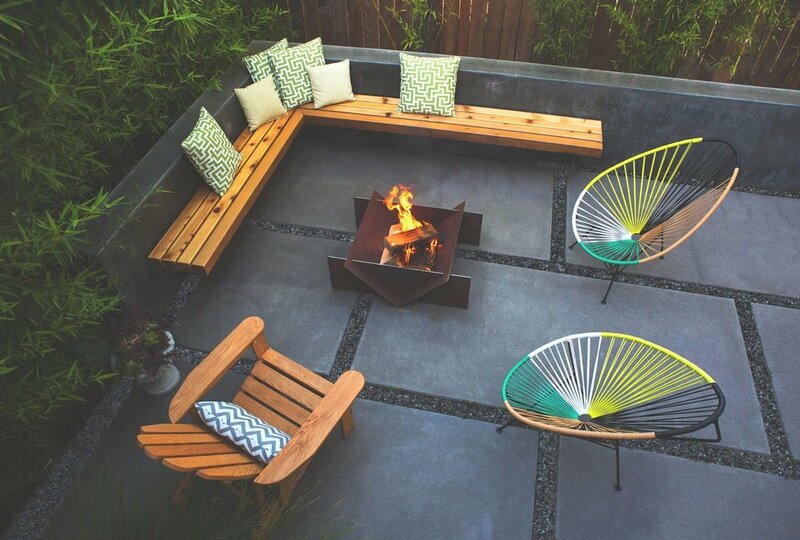 Outdoor simplicity at its finest. What happens when you want to take a slice of that cake home? Well, you buy a Stahl Firepit. Forget digging a hole in your backyard and laying bricks. Slide a couple of metal panels together and call it a day. It just so happens that the finished product also happens to look like a piece of modern metal artwork. Looks like a win-win to us! Photo © Stahl Firepit, LLC. If you're looking to spend some quality time in Masai Mara, Africa in Theodore Roosevelt fashion, Richard's River Camp seems like it would be the perfect fit.